Company Overview - Guangzhou Extra Link Printing & Packaging Co., Ltd.
5YRSGuangzhou Extra Link Printing & Packaging Co., Ltd. Since our foundation in 2000, we are always the first class printing and packaging enterprise in Guangzhou. We are a reliable and honesty company. 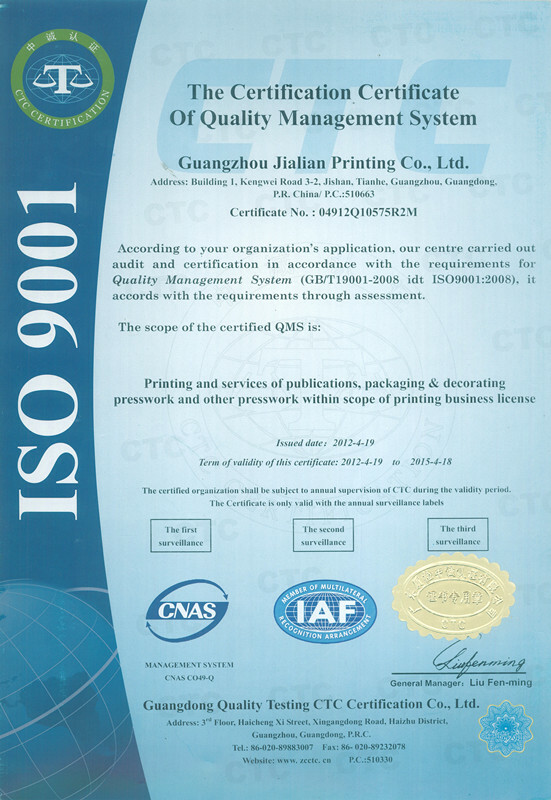 We are a member of Guangdong Printing Association and Guangzhou Printing Association, and we also a member of China Press Standard Committee. 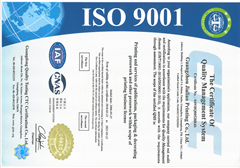 We have got the ISO9001:2008 Quality Management System Certification, and have acquired the enterprise which observes contracts and keeps promises by Administration of Industry and Commerce of Guangzhou Municipality.We equip our factory with advanced printing machines to assure customers high quality printing service, such as advance AGFA CTP systems, Heidelberg four color offset printing machines, Roland four color printing machines, high efficient offset rotary printing machines, and a complete range of post-press machines, including coating machine, die cutting machine, folding machine, automatic saddle stitch machine, perfect binding machine, hot stamping machine, etc..Based on advanced production equipment, professional handicraftsmen, we provide one-stop services from design and printing to handicraft processing. We specialize in manufacturing all kinds of printing products and paper boxes, such as hard cover book, soft cover book, children book, magazine, catalogues, cardboard boxes, gift boxes, jewelry boxes, folding boxes, paper bags, posters and other paper handicrafts. Our products are widely accepted by clients all over the world. Our main export markets include Britain, America, France, Spain, Germany, Canada, Australia and the Middle East. On local market, we are the designated printing enterprise for Guangdong Provincial Government. And we keep good cooperation relationship with more than ten magazine offices and publishers.We look forward to establishing a long term cooperation relationship. We believe we can serve our customers better with superior quality, excellent services and competitive prices. Printing and services of poblications,packaging & decorating presswork and other presswork within scope of printing business license.